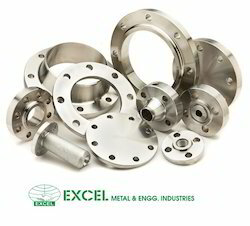 Stainless Steel Flanges of ½”¿¿¿ NB to 60 “¿¿¿ NB range. As the name suggests, all our products are developed using excellent quality stainless steel at the premises of our associated manufacturers. The products we offer are widely appreciated in the market for their resistance against corrosion, seamless finishing and dimensional accuracy. Further, clients can also avail from us services like CNC machining and customized flanges as per their needs. Dimension Std. ANSI/ASME B16.5, B 16.47 Series A & B, B16.48, BS4504, BS 10, EN-1092, DIN, etc. Specification ASTM A182 / ASME SA182Size½” NB – 48” NBClass150#, 300#, 600#, 900#, 1500#, 2500#, etc. Ultimate Tensile Strength, ksi116 min.0.2% Offset Yield Strength 0.2%, ksi80 min.0.1% Offset Yield Strength 0.2%, ksi91 min.Elongation in 2 inches, %15 min.Hardness Rockwell C32 max.Impact Energy, ft.-lbs.74 min. We offer high quality and superior performance forged flanges and steel flanges for various requirements of our clients. Designed as per market standards and parameters. 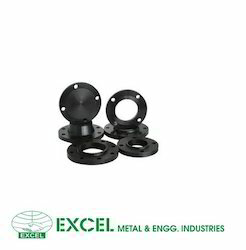 Our flanges are high in durability and can withstand extreme conditions. Our comprehensive range includes stainless steel flanges, weld neck flanges, socket weld flanges, steel weld flanges, steel weld neck flanges and many more. We are exporting in Bahrain, Brazil, Canada, Chile, Czech Republic, Egypt, Indonesia, Italy,Oman, Paland, Qatar, Saudi Arabia, Singapore, Uae, Uk, Usa, Germany. Carbon Steel Flange and Carbon Stainless Steel Flange in various types like long weld neck, girth flange, ring joint, reducing, spectacle blind, large diameter ring, orifice and many more. 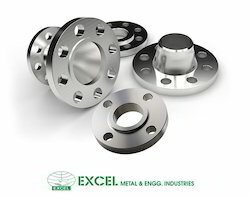 To meet the diverse needs of valuable clients, we offer these flanges in different sizes, grades and specifications at market leading rates. These are widely used in the system, which requires frequent dismantling for inspection and cleaning. Our firm is a renowned of Duplex Stainless Steel Flanges / Super Duplex Flanges. Procured fro trusted vendors, these flanges are widely used in used engineering, mechanical and automobile industries. Clients can avail these products from us in different range like one and half NB to 36" NB. We offer our products in varied standards like 150 LBS, 300 LBS, 600 LBS, 900 LBS, 1500 LBS, 2500 LBS ASA 150, ASA 300 DIN ND 6, 10, 16, 25 and 40.
forged flange . It is invented on the basis of the cast flange into production, its intensity to be higher than the cast steel flange many interconnected so that the tube with the tube parts, is connected to the tube end. We are a government approved largest Manufacturer, Supplier and Exporter of Forged Flanges, ASME 16.5 Forged Flanges. 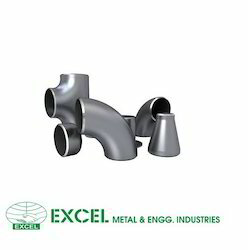 Forged Flanges are used on heat coupling of pipes and are customized as per the specifications of our clients. We offer a comprehensive range of Forged Flanges including SS Forged Flanges, Carbon Steel Forged Flanges, Alloy steel, Nickel Alloy, Duplex Steel Forged Flanges etc. We maintain a strict quality parameter check on our product and we are committed in timely delivery. Duplex Steel Forged FlangesASTM / ASME SA 182 F 44 , F 45 , F51 , F 53 , F 55 , F 60 , F 61. Nickel Alloy Forged Flanges Cupro Nickel (90/10, 70/30, 66/30/2/2), Hastelloy (C-4, C-22, C276, B-2), Nickel (200 / 201 / 205), Monel 400 & K500), Inconel (600, 601, 625 & 825), Incolloy (800, 800H), Alloy 20, Duplex Steel, SS 904L, Titanium (1 & 2) Etc. Pressure Class Class 150, Class 300, Class 400, Class 600, Class 900, Class1500, Class 2500 | PN6, PN10, PN16, PN25, PN40, PN64 etc. Standard : 150 LBS, 300 LBS, 600 LBS, 900 LBS, 1500 LBS, 2500 LBS , ASA 150#, ASA 300# DIN ND 6,10,16,25,40 Etc. 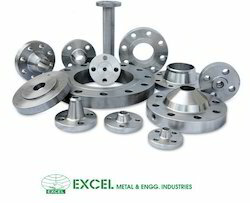 We Aesteiron Steels Pvt Ltd, are one of the leading trader and supplier of Aluminum Flanges. 150#300#, 600#, 900#, 1500#, 2500#, PN6, PN10, PN16, PN25, PN40, PN64 etc. Range1/4" NB to 4" NB in 3000 LBS, 6000 LBS, 9000 LBS available with NACE MR 01-75. Grade : UNS NO.S 31803, S 32205.